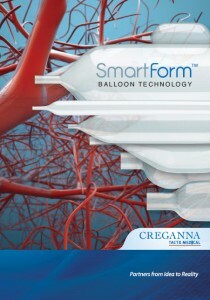 Creganna Medical offers the most advanced balloon forming technology in the industry. 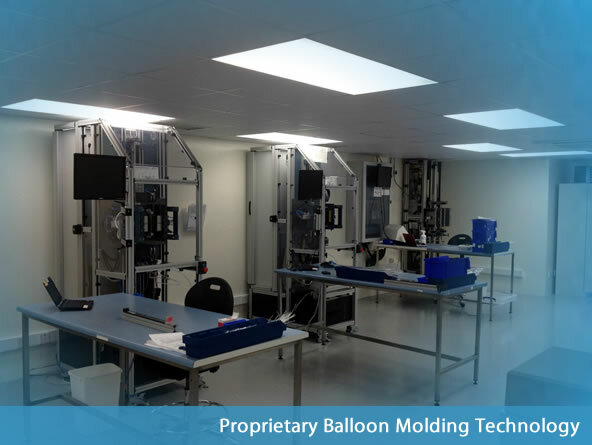 Where traditional balloon forming technologies struggle, our proprietary technology excels. SmartForm™ balloon forming technology is unmatched in its ability to blow balloons at the smallest and largest diameter specifications, from 1.25mm to 55mm, and at the longest lengths, up to and in excess of 300mm. The control and flexibility in our forming process also enables our polymer science experts to explore and adapt material properties & characteristics in new ways, thereby expanding the range of options for your balloon design. SmartForm™ also enables rapid prototyping and the fast tracking of balloon designs, often within minutes; ideal when speed is a critical factor. In addition to our proprietary technology we also manufacture balloons using other processing technologies common throughout the industry. All balloon manufacturing is conducted in cleanroom environments. Over 1,000 balloon designs have been delivered using SmartForm™ technology. Many of these balloons are also supplied in volume for commercially available and approved medical devices. An innovative technology that has delivered high performing balloons with good consistency in double wall thickness and O.D. The ability to provide a quick response in new balloon development has been very valuable as we grow our product line. Your innovative balloon blowing technology provides confidence in the support of our future development efforts.